A Blackfoot aboriginal and a Chinese-Canadian rediscover their shared heritage. Cowboy Smithx and Chris Hsiung at a Making Treaty 7 meeting. 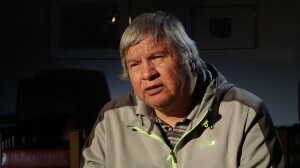 This film is inspired by the work of the Making Treaty 7 Cultural Society, a group of artists, musicians, playwrights, elders, and technicians trying to bring the stories of aboriginal and settler relationship to the forefront. Cowboy Smithx is only beginning to understand his Blackfoot ancestry. For now, he marks his missing identity with an “X” to remind him of the memories erased by generations of physical and cultural trauma. Little did he know this search would put him on a path to becoming an elder. 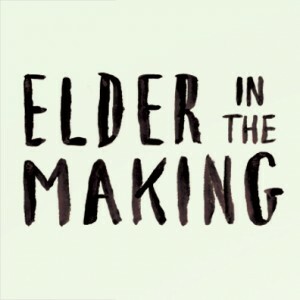 But what does mean to be an elder? First generation Chinese Canadian Chris Hsiung is also on a journey of discovery. He grew up in Calgary, on Treaty 7 territory. But he knew little about the agreement signed only 137 years ago where many promises were made, and many were broken. Can the past be ignored when it lives today? “I grew up thinking there was nothing here before the Europeans came; no history, no culture,” muses Chris, “But now I see I’m missing a part of the story of who we are as settlers.” Cowboy and Chris will revisit Blackfoot Crossing, the circumstances surrounding the signing of the treaty and its implications for today. They will tour Red Crow College, a repurposed residential school, with Elder Narcisse Blood who was a former student. And they will open up the long history of a relationship between two radically different cultures. Cast of the Making Treaty 7 theatrical production some of who will be in the film. “We are all treaty people,” says Cowboy. “We shouldn’t be afraid to learn from each other.” While acknowledging the human rights abuses of the past is a first step in healing, Cowboy and Chris are also looking for the joy and the hope for the future. Perhaps it can be found in an Elder reviving his culture in a modern context or in a mother breaking the cycle of intergenerational trauma with her children. As it turns out, being an Elder-in-the-making is a responsibility we all share for this land and for future generations.